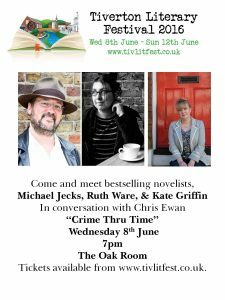 For the past 5 months, my colleagues and I have been working our little socks off, so that we can bring you another brilliant book event. 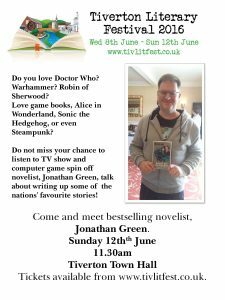 and Jonathan Green (Dr Who fans DO NOT MISS THIS). 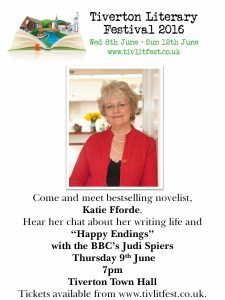 Not forgetting, Kate Lord Brown (with a brilliant writing masterclass); Marissa Farrar (back with her Self Publishing Workshop by popular demand), historian, writer, and radio presenter, Suzie Grogan; Rough Guide Writer and novelist, Rebecca Hall; renown journalists Fasial Islam and Alex Sehmer; novelist Laura Wilkinson and myself, talking about writing without agents or big publishers, and much much more! On the Saturday (11th June, from 10am) we will be wandering through town with our children’s story trail. 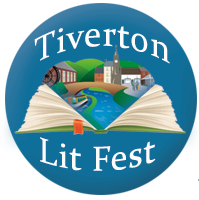 There will also be an authors’ market in the grounds of St George’s Church, Fore Street, Tiverton; where writers can sell their books, sign, and chat to the public and each other. 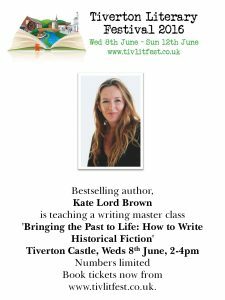 If you would like to reserve one of these tables (free of charge) please contact me via info@tivlitfest.co.uk to reserve your space.